Subclass 580, the Guardian Visa, allows the parents or guardians of a student to live in Australia along with the nominated student below 18, for their welfare. 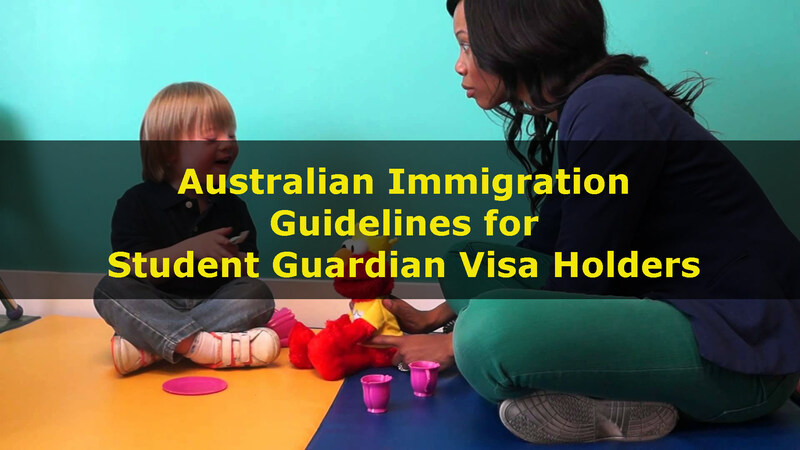 There are certain conditions by Australian Immigration Department that you have to agree to become a guardian visa holder. You have to make sure that the nominated student (under 18) has appropriate welfare arrangements throughout their stay. In case you need to leave without the nominated student, you must provide evidence to immigration authorities for (i). Your reason for leaving is compelling and (ii). You have made suitable arrangements for the welfare of the nominated student regarding all aspects, in your absence. The Australian immigration department and the education provider of the student must approve your arrangements. As soon as you get to know that you need to travel back, contact your child’s education provider and discuss the matter with them. You have two ways to make alternative arrangements. You are allowed to nominate an alternative guardian. Apart from a few exceptional cases, the nominated guardian can be a parent or a guardian of the student who is at least 21 years of age. Submit the relevant documents of the nominated guardian. Form 157N Nomination of a Student Guardian will guide you on the matter. You are bound to have an approval by the student’s education provider on this form. Submit the other documents to us. Make sure you do this before leaving Australia. Your child’s education provider may also take the responsibility of the student’s welfare by issuing a Confirmation of Appropriate Accommodation and Welfare (CAAW) letter. The letter must mention the start and end dates of the duration for which the education provider is going to take the responsibility of the welfare of the nominated student. The final decision will be made by Australian Immigration Department. In case your alternative arrangements are not accepted, you can’t leave Australia without the nominated student(s).